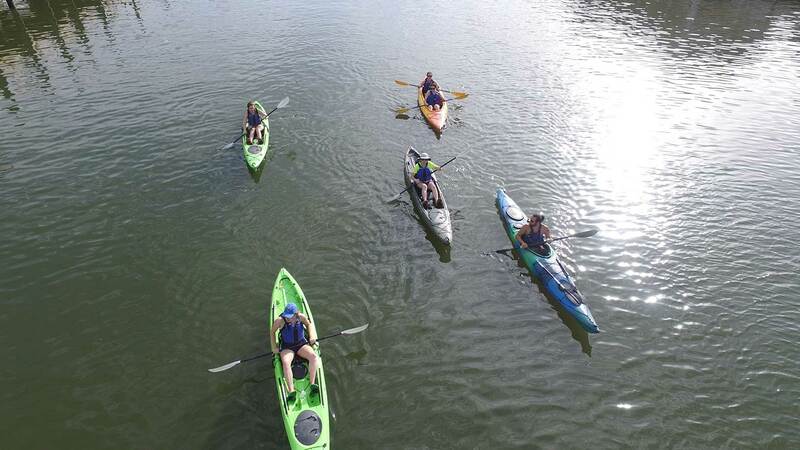 We have Werner and Harmony Fiberglass/Plastic Paddles and 70+ high end Wilderness Systems and Perception Kayaks to choose. 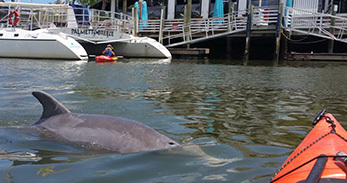 Nature Adventure kayaks range from 12' – 16' long and are a variety of sit inside and sit on top kayaks and we make every effort to accommodate your preference and body type. 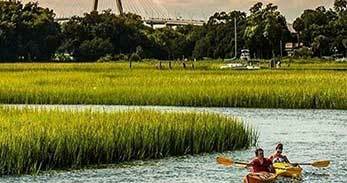 Kayak rentals in Charleston SC are available at Shem Creek 7 days a week. Walk ups are welcomed however, advance reservations are highly encouraged. 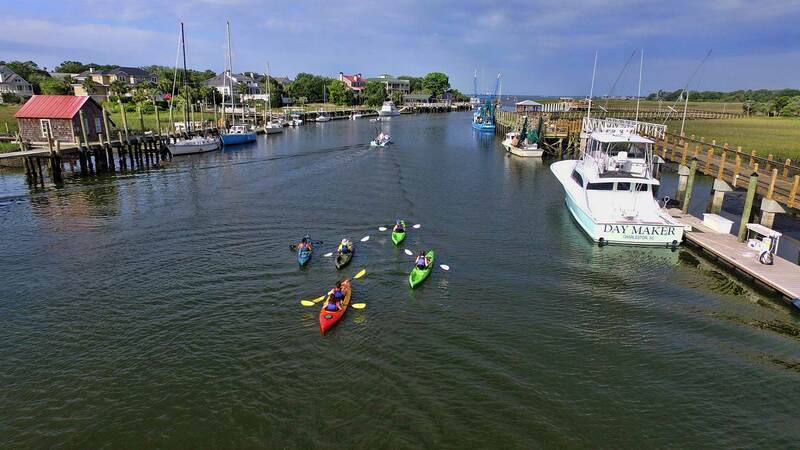 Our ramp guides provide kayak paddle instructions, PFDs, a map with recommendations and help you get into your kayak properly. 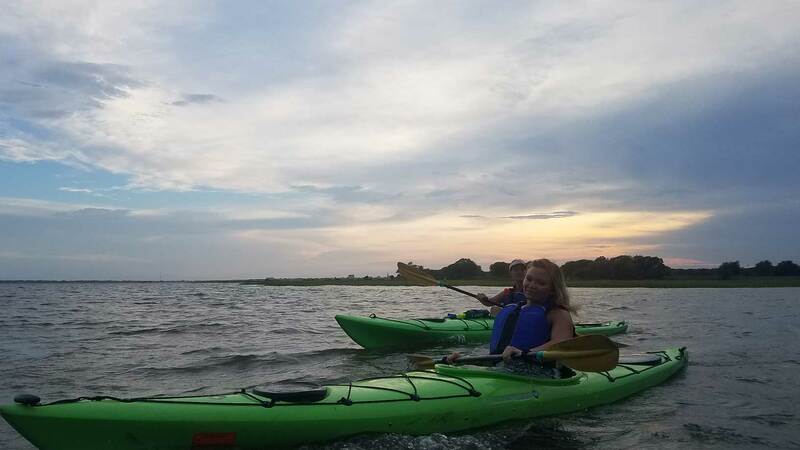 If you are visiting anywhere Charleston area, Mount Pleasant, Isle of Palms, Sullivans Island for several days, we also offer takeaway rentals of kayaks. Delivery is also available to make it a stress-free ordeal. 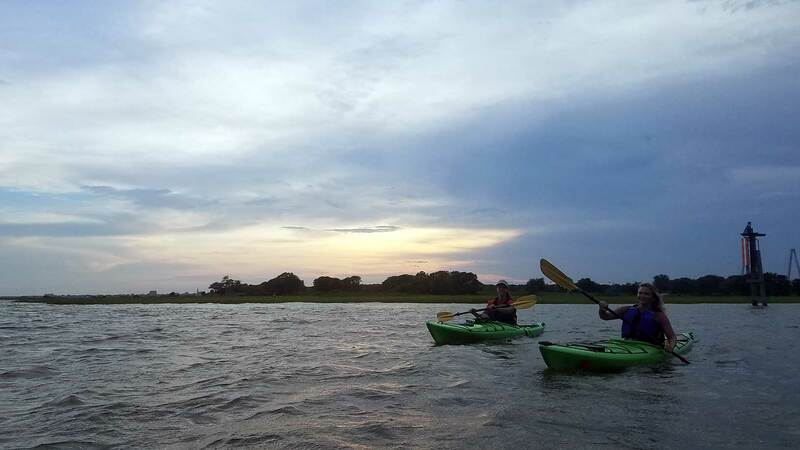 Renting a single or tandem kayak is a great way to explore the tidal salt marsh of Shem Creek or explore any of the numerous waterways Charleston has to offer people looking for things to do. 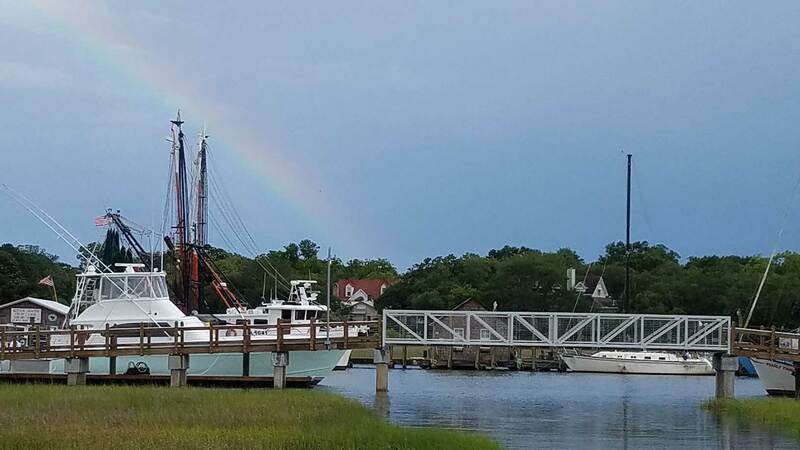 When you rent for a half day, 4 hours, you can explore the majority of Shem Creek, Bayview Creek and possibly get to and around Crab Bank Island at the mouth of the creek depending on the tide. 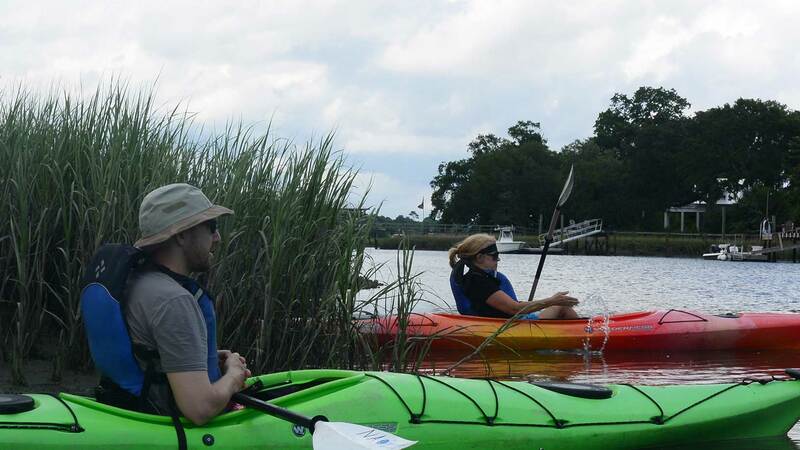 Renting kayaks in Mount Pleasant is great for small and large groups alike. 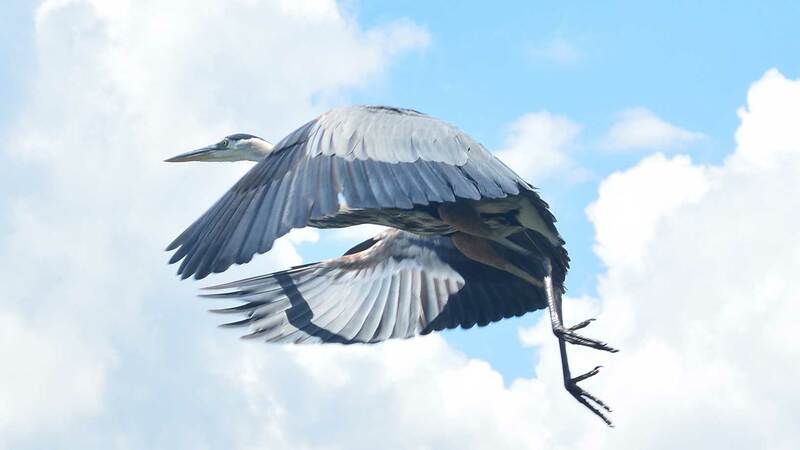 You can paddle a lot and cover lots of water or go where the winds and tide take you...but don't forget you'll have to fight them coming back. That is why we recommend heading the advice of our ramp guides on the best paths based on current conditions. Restrictions: Ages 4 and up welcome. 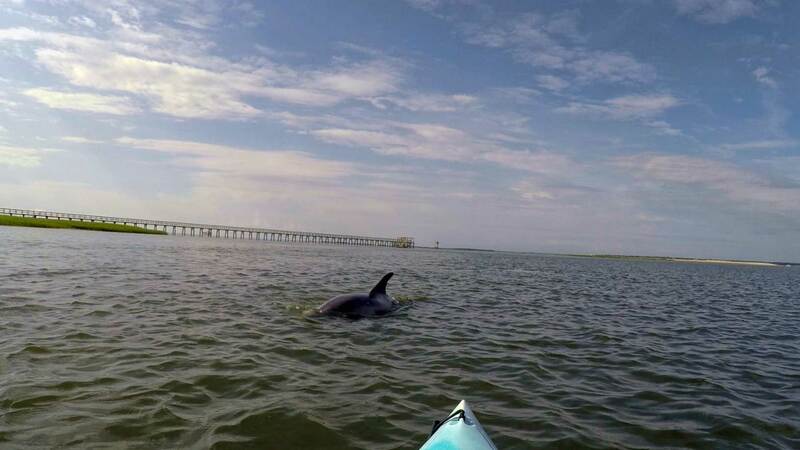 Ages 14 and up can paddle in single kayaks if desired. 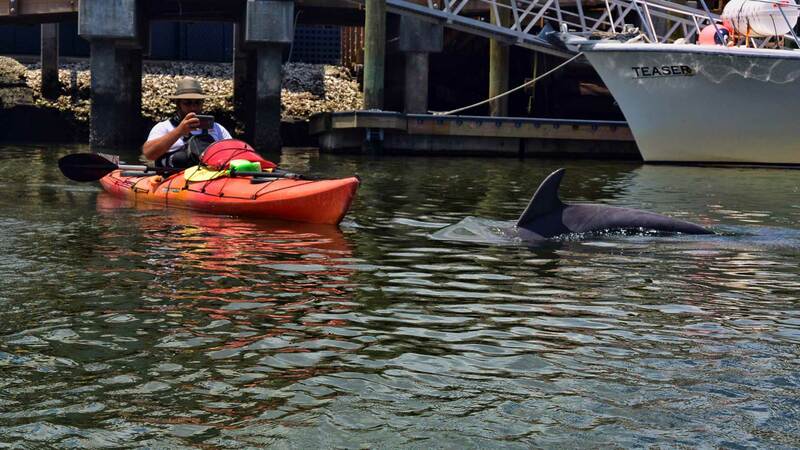 13 and under must be in a Tandem 2 person kayak with someone 14 or older. Minors under the age of 17 must be accompanied by an Adult over 18 years of age. 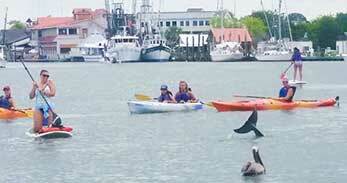 We took a kayak tour on Shem Creek on the last day of our vacation. The weather looked great all week, then 16 hours before our tour it looked like we were going to get rained out. Because we had an hour drive, the receptionist accommodated us by moving our morning tour later in the morning in case we needed to reschedule. Our guide was super attentive to the fact we were beginners. We will definitely go again.